#2. 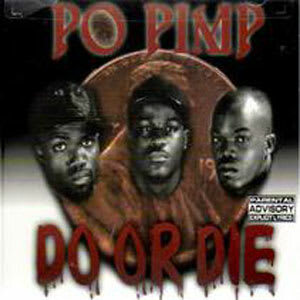 Do or Die f/ Twista & Johnny P "Po Pimp"
In early 1996, Do or Die, a trio from the Westside neighborhood of Chicago, independently released an ode to pimpin' that quickly became a local hit. The song started to spread regionally and eventually caught the attention of James "J. Prince" Smith, the don of Rap-A-Lot Records. Smith, who had close ties to Chicago, was so impressed with the song that he immediately signed the trio to RAL and had big plans for the single. As we've seen so many times on this list, the pairing of Do or Die, Traxster, Twista, and Johnny P was almost a surefire equation for success, and this was the first time the world was exposed to their chemistry. Prince's intuition paid off, as "Po Pimp" became a smash on radio and television, reaching No. 1 on the rap charts and eventually going gold. The track is also notable for being the world's reintroduction to Tung Twista, who'd been off the national radar since '92. It's no secret that T's closing verse was the scene stealer, and admit it—you've tried to nail that verse at least once. "Po Pimp" ushered in a new sound of Chicago hip-hop that became extremely popular and influenced music over the next few years.